Portrait of Johan Gadolin at the age of 19 when he left Turku to continue his studies at the University of Uppsala. 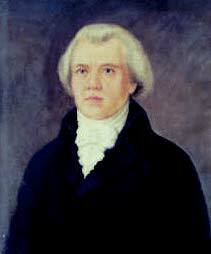 It is likely that this portrait was painted to ease his mother’s heartache when her oldest surviving child first left home. There are no other surviving portraits or photographs, even though he lived to the age of 92. It is likely that the above portrait made of Johan Gadolin was used as the model for the bicentennial postage stamp of 1960. 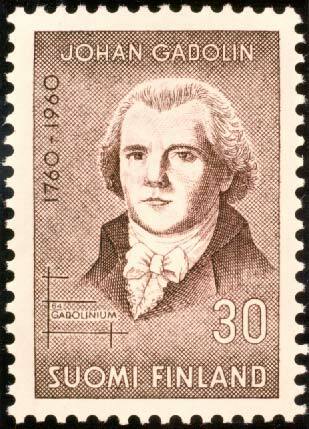 The Finnish postage stamp was issued on the 200th anniversary of his birth. The color portrait below is probably a modern painting made for the Finnish Chemistry Society of their patron saint, based on the original, rather small portrait. 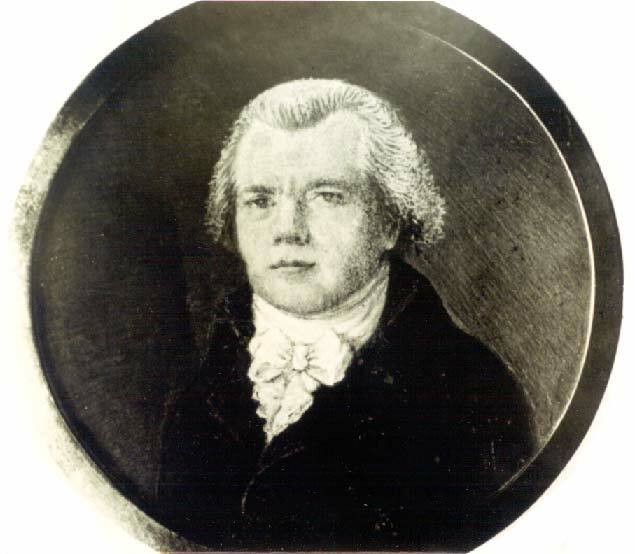 However, Gadolin no longer looks like he is 19 years old in this modern portrait, nor is he looking at the viewer, but rather over the viewer's left shoulder. kemistikerho.ry, University of Turku, Finland.